Miller’s major matters include representation of the city of San Diego as to insurance coverage issues in two significant litigations: Five cases concerning the development of the Border Business Park, and three cases concerning the city’s transition of the De Anza Mobile Home Park in Mission Bay. Miller represents one of San Diego’s largest construction companies in insurance recovery for several multimillion dollar liabilities. Miller also represents a real estate developer regarding insurance coverage issues arising from a multimillion dollar litigation challenging the redevelopment of a San Diego landmark. Miller’s practice focuses on complex commercial litigation and pre-litigation counseling with a specialization in insurance coverage recovery. She represents technology, financial services, life sciences, hospitality, multi-media, health care, manufacturing, developer, construction and municipal clients and assisted these clients in obtaining millions in insurance coverage for third party liabilities under a wide range of insurance policies, including commercial general, D&O, construction wrap, multi-media, IP, public entity, pollution, employment practices and bankers professional liability policies. Miller enjoyed a career in politics handling speech writing and campaign activities for the Ohio State Treasurer. Miller served as chair of the insurance and bad faith section of the San Diego County Bar Association in 2008. In 2011, she served as the chair of the Appellate Court Committee of the San Diego County Bar Association. Miller is also a member of the Association of Business Trial Attorneys, Lawyers Club and MAMAS (Mother Attorneys Mentoring Association). Miller is an active supporter and parent at Notre Dame Academy. 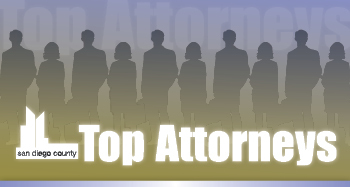 Miller is a native of Cincinnati and is a third-generation attorney. Her grandfather served on the Ohio Court of Appeals and her father and brothers are litigators.